On 16th October a mammoth steel tank weighing in at 18 tonnes left the factory of Tuffa Tanks in Uttoxeter and made its way to a large well-known logistics company overseas. The Steel Tank measured up at 12000mm (L) x 2700mm (W) x 2500mm (H) and consisted of a 47,000 litre and 10,000 litre compartment, suitable to store Diesel and AdBlue respectively. The tank, known in-house as the giant “Battenberg” because of its striped Fire Protected inner tank, was manufactured in just 8 weeks by a team of highly skilled staff within the Tuffa Steel factory on Dovefields Industrial Estate. The AdBlue compartment incorporated specialised equipment suitable for the aqueous solution, and was manufactured to AUS32 guidelines. The Diesel compartment was complete with a full dispensing system complete with a higher output pump in order to save the client time and money by providing vehicles on site with a system built to fill up fast. The tank was finished with smart decal and given a superb White finish, of which is the client’s corporate colour. The specialist welders at Tuffa Tanks did a fantastic job, and all the team at Tuffa were proud to watch this UK manufactured tank leave for France. 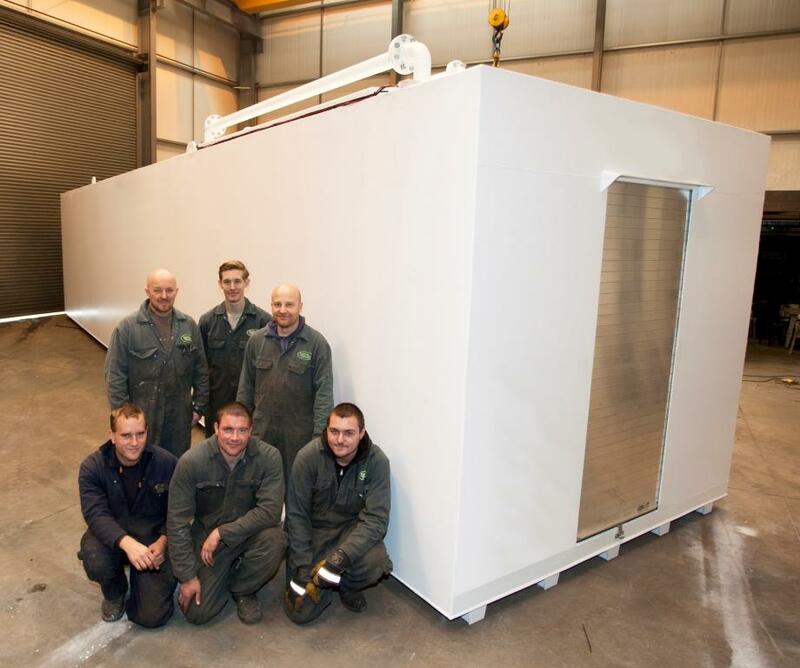 “The steel production staff rose to the challenge of manufacturing yet another bespoke steel tank, a job well done!” said Tuffa’s Steel Production supervisor Jason Shenton.